Hello mommies and daddies. This blog is of interest to you. As your tots spend their summer vacation at home or in summer camps, here is another fun and inexpensive way to keep them busy. Get hold of cool Temporary Tattoos & stickers and let them adorn themselves or their items. You can purchase these Tattoos Stickers Online for girls, boys & kids from our very easy peasy web store and keep the young ones brimming with fun. These Tattoos Stickers come in colours & logos of leading teams such as Manchester United F C , Manchester City F C , Barcelona F C and Tottenham Hotspur F C.
These Temporary Tattoos & stickers are very affordable: Rs 299 to Rs 329 for a set. You can pick up these trendy Tattoos Stickers Online for yourself as a gift for a loved one, surprise them. Let them know that you know their interests in and out, and that you aware of their love for soccer and their favourite soccer club. Decorate your car window with these lovely car stickers and showcase your club loyalty; scream and shout out in a subtle way which team has captured your heart. Let you be the envy of your neighbours. 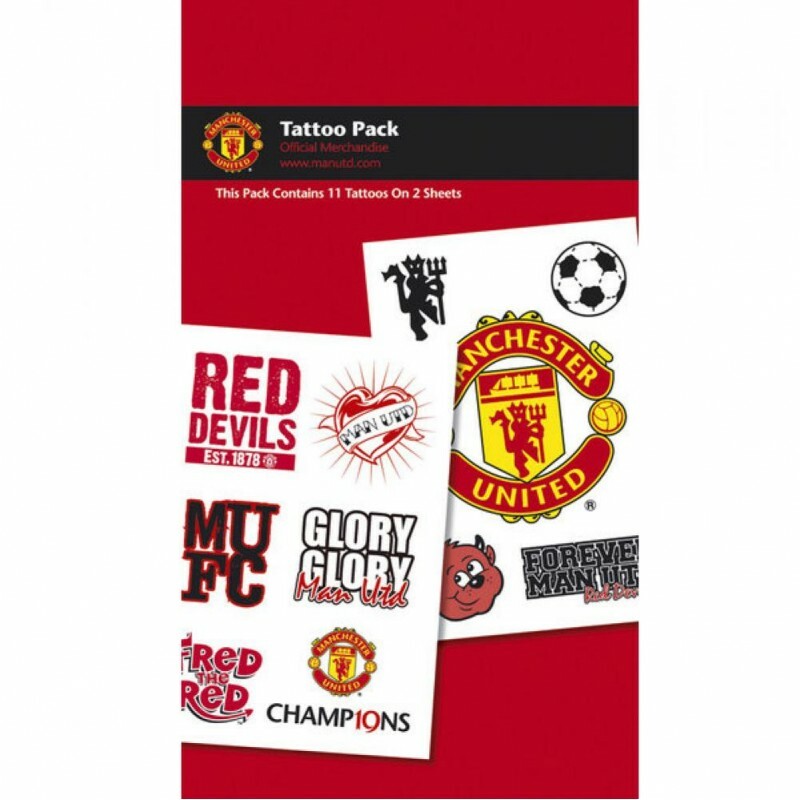 If you don’t want to decorate your car then why not indulge yourself with Tattoos Stickers. Temporary Tattoos Stickers are the rage with kids, why not be a kid yourself? Don’t go for a permanent tattoo on a lark. Remember temp tattoos are much cooler, affordable and easily removed. Trust us, permanent tattoos are so not cool anymore, ask the many celebrities who have had to deal with tattoo nightmares. Well you don’t have to deal with that chaos with our super stylish tattoos and stickers. May the month of May and beyond prove to be a restful summer away from the blistering attack of sun. keep your young ones busy indoors and get them hooked on our sticker sets and temp tattoos. It is a sure way to keep them away from mischief, isn’t that a good enough reason to pick up your smart phone now. Keep shopping with us for new items, deals and offers time to time. We are always updating and ensuring you get the best product sitting in your homes. 100% authentic football merchandise my dears, it does not get any better. Come on over, lets kick off in style.